The Santa Margherita Winery in Italy's Aldo Adige region is a well-known producer and exporter of fine Pinot Grigio wines. These wines have gained great popularity in the United States since they were first imported, but they aren't the only wines this well-respected winery has to offer. The Santa Margherita wine estate was founded in 1935 by Count Gaetano Marzotto Jr. in Italy. Before opening the winery, Marzotto ran the family's textile business, which had operated since the 19th Century. The estate is over 1,000 hectares of former marshland that has been cultivated into vineyards. It is located between Fossalta and Portogruaro in the province of Venice, Vento, Italy. Many consider Count Marzotto an innovator. He introduced a number of improvements, such as creating new grape cultivation practices and experimenting with different grape varietals. He also sought to improve the conditions of estate workers. He abolished sharecropping and built living and recreational facilities for his employees. Today, the Count's grandson, Gaetano Marzotto, runs the business. This wine estate produces many wines including sparkling, semi-sparkling, white and rosè, just to name a few. Unfortunately, it appears that the estate doesn't currently welcome visitors or offer tours. Terlato Wines International imports Santa Margherita to the United States. Anthony Terlato began importing premium Italian wines in the 1970s. While in a restaurant in Italy, Terlato ordered 18 different Pinot Grigio wines to taste. He felt that Santa Margherita Pinot Grigio was the best, and began importing their wines for consumption in the United States. Santa Margherita wines are available in red, white, and sparkling varietals. The winery makes two white wines. Pinot Grigio is a crisp, light wine that is very popular. The Santa Margherita Pinot Grigio is generally less than $20 per bottle, and receives ratings in the mid to high 80s from Wine Spectator (WS). Chardonnay is a classic white wine grape grown in wine regions around the world. Santa Margherita's Chardonnay is aged in stainless steel rather than oak, which makes it crisper and lighter than oaked Chardonnays. It's priced between $15 and $20 per bottle, and is rated as a good, drinkable wine; it usually receives ratings in the low 80s from WS. The estate also exports red varietals including. Chianti Classico uses grapes from Tuscany. This popular Italian-style wine is made from the red wine grape, Sangiovese. The wine is priced around $15 per bottle, and it typically receives ratings in the mid to upper 80s from WS, depending on the vintage. Merlot is an Old World varietal that has soft tannins and stone fruit flavors. Santa Margherita's version is very affordable at about $15 to $20 per bottle. It typically receives good ratings in the low 80s from WS. Cabernet Sauvignon is another Old World Varietal with strong tannings and dark fruit flavors. The Cabernet Sauvignon from Santa Margherita costs about $15 per bottle, and it often receives ratings in the upper 80s from WS. 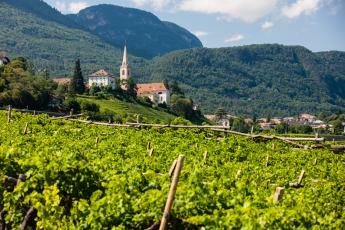 Italian sparkling wines are a delicious, affordable alternative to Champagne. Santa Margherita makes a few different sparkling wines. Santa Margherita Prosecco from BevMo! Prosecco is an easy-drinking frizzante wine that has light bubbles and crisp flavors. Santa Margherita's Prosecco costs around $15 per bottle, and it typically receives ratings in the mid to upper 80s from WS. Sparkling Rosé is a pink bubbly wine. It's pink because the extracted juices are left in contact with the grape skins for a short period. 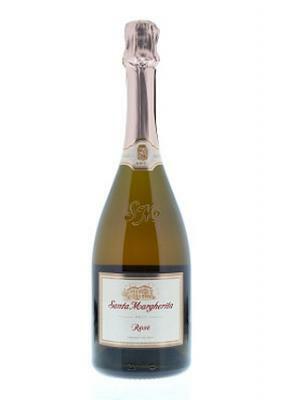 Santa Margherita uses Chardonnay, Glera and Malbech grapes for their Sparkling Rosé. The cost is generally between $20 and $25 per bottle, and the wine is well-received by reviewers who enjoy its light, peachy fragrances and flavors. Santa Margherita wines are available at many grocery stores and wine shops. Likewise, you can purchase the wines online from the following retailers. Wine.com sells an array of wines, including those from Santa Margherita. BevMo! is an online wine and spirits retailer that offers Santa Margherita wines. Ultimate Wine Shop offers a broad range of domestic and imported wines. If you'd like to try a taste of Italy, but you're on a budget, you just might enjoy Santa Margherita wines. With a large selection of varietals and pricing under $25 per bottle, there's sure to be a wine that will suit your taste and budget.